Please take a closer look at this ten most widely read online EDUCAUSE Review articles from 2009 focused on current IT issues, emerging technologies, learning spaces, the wiki-ized university, open educational resources, faculty development, and teaching & learning challenges. Don't miss this article by JEANNETTE SCOTT if you're at all curious about how students do homework at Gaggle. 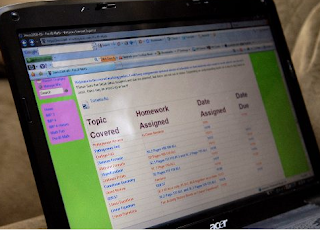 Gaggle is also a Web site (Gaggle.net) where students do homework. And it's not the only silly-sounding online tool connecting home and school. Moodles, wikis, Google docs and Facebook are the new means for group study, homework assignments and collaborative projects. Even virtual lockers are reducing backpack loads. Educators have harnessed such online applications to engage today's "technology-native" students. And students are responding. "We're in their world," said Diane Patton, science coordinator for the School District of Lancaster. The European Commission has just published two interesting reports on education and ICT. The first one, “Study on indicators on ICT in education”, addresses issues concerning the characteristics of educational monitoring, policy concerns regarding ICT in education, indicator needs and availability of international comparative data. The second report investigates the impact on language learning of ICT and new media, as a complement to ‘traditional’, face-to-face learning and teaching within – and beyond – the framework of formal education systems. CALL FOR PROPOSALS 2010: Lifelong Learning Programme (LLP). The Lifelong Learning Programme applies to all types and levels of education and vocational education and training. Although the production and use of Open Educational Resources (OER) is expanding rapidly, there are few experiences of real world usage. The educational programme of the Free Technology Academy (FTA) is an inspiring showcase of the collaborative production and exploitation of such freely licensed course materials. The FTA offers an online master level programme with Free Technologies modules for IT professionals, students, teachers and decision makers. 18th LEARNTEC, 2-4 February 2010, Messe Karlsruhe, Germany. Visit the trade fair to find out about trends and developments in the eLearning market, as well as individual and target group-specific options for implementation. The trade fair is accompanied by three days of comprehensive activities, including free expert and best-practice lectures. INTED 2010, 8-10 March, Valencia, Spain. INTED 2010 is an international forum for those who wish to present their projects and innovations in education and technology, having also the opportunity to discuss the main issues and results obtained in classrooms and with investigations. The attendance of more than 500 delegates from 70 different countries is expected. The key theme at the European Distance and eLearning Network annual conference this summer in Spain will be “Media Inspirations for Learning. What makes the impact?” EDEN invites the European professional community of learning to participate in the event and contribute to the development of future mindsets for media in learning. eLearning progress in higher education: The voice of experience. New technologies involve new methods of teaching, learning and training. However, the universities lack well-defined structures to accomplish it. Dr. Tony Bates is a keynote speaker, much in demand, who has worked in more than 40 countries specialising in the strategic use of elearning in higher education. Silvia–Adriana Tomescu interviewed him to find out about his opinions on how to improve the present implementation of elearning in higher education institutions. Abilene Christian University's student-run media staff announces its commitment to produce the first paper of its kind for Apple's iPad. Dr. Cheryl Bacon, chair of ACU's Department of Journalism and Mass Communication, says students and faculty already are working to achieve this goal. Lisa Greathouse, Manager of K-12, has been in touch to share with us this great news, that they giving away a $4,000 lecture capture/presentation system for an entire school. Watch this video below and find out! Freebie Man gives gives away free tools for schools! 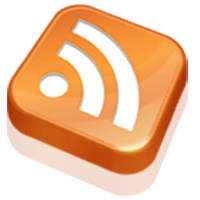 from InfoSource Learning on Vimeo. Check out what free tools he's giving away this time! Many districts have found that loss or theft can be costly, damaging student morale and hurting limited budgets. 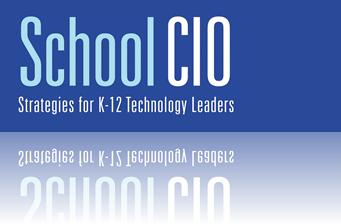 Join us for a presentation by an IT leader who has found easy, cost-effective ways to secure his district's 1:1 program. Joe Fives, from Kansas Public Schools, will share his experience securing student technology in an area with a high crime rate. Cost is free, but seats are limited. The Absolute Software Team look forward to seeing you on Feb. 3rd! Educators should change the way they view technology’s role in everyday life in order to understand students’ educational needs, said Don Tapscott, chairman of nGenera Insight, during a Jan. 19 Consortium for School Networking webinar on the digital generation. The nation is at a turning point, Tapscott said, and many institutions that have served us well for decades or even centuries—including education—have come to the end of their life cycle and must be “rebooted” or reinvented for a new age. Several colleges and universities say they’ve seen double-digit increases in the number of students taking online courses in recent years. Increasingly, some of the online offerings are what’s known as “hybrid” courses, which mix an online experience with traditional classroom learning. Scott Pilgram is working on his business management degree from Metropolitan State University in St. Paul, Minn. Last semester, Pilgram took his first hybrid course. The class, Linguistics in Society, alternated between classroom work one week and online work the next. “It was pretty neat. I liked it,” he said. In that spirit, Mathtrain.TV is a free educational “kids teaching kids” project from sixth-grade math teacher Eric Marcos and his students at Lincoln Middle School in Santa Monica, Calif. Lincoln students create math video lessons that are used for classroom instruction and also posted to Mathtrain.TV and other web sites, such as iTunes, YouTube, TeacherTube, and Google Video. The students use a tablet PC and screen-capturing software from TechSmith, called Camtasia Studio, to create the math tutorials. SBI! eLearning is a 12-week online education course that takes you, step-by-step through the process of building your very own successful, thriving Web business with Site Build It! (SBI!). Prestigious universities and colleges (ex., Penn State, Baruch College, The Citadel Military College) offer this course in the USA, Europe, Canada, Australia and Africa. SBI! 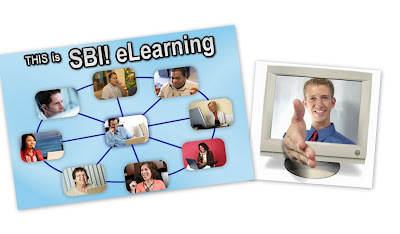 eLearning now delivers the same experience and results online, to you, in your home. And if you order SBI! eLearning before February 1st, you'll save $100. As the title suggests, Patrick Lambe explains in this article ways that e-learning professionals might assess the return on investment of their programs. 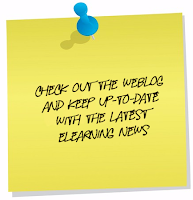 In Part I of this article, Lambe provided a brief background on the economics of e-learning. In Part II, he looks at some of the most common ways that organizations deploy e-learning to support their strategic objectives, and shows how measurement of viability and impact can be approached within those situations. One of the ongoing admonitions e-learning specialists face is the need to "prove" the return on investment (ROI) for each program they initiate. But most e-learning programs are funded from ongoing training budgets, which are recurrent (that is, budgeted annually to cover the cost of a year's worth of training, rather than individual projects) and are accounted as operations or infrastructure costs. Because much training is not budgeted at the project level, discussions about ROI have traditionally had little relevance. It would be like seeking the ROI on groceries in a personal budget or of stationery supplies in a business. Both are simply costs of doing business. How, then, might one assess the return on an e-learning program? How might one assess the ROI of an e-learning infrastructure that support a variety of different business objectives? In each section, I describe examples of e-learning, measurement questions to consider, and stakeholders who might be interested in these results. Patrick Lambe is a widely respected knowledge management consultant based in Singapore. His Master's degree from University College London is in Information Studies and Librarianship, and he has worked as a professional librarian, as a trainer and instructional designer, and as a business manager in operational and strategic roles. He has been active in the field of knowledge management and e-learning since 1998, and in 2002 founded his own consulting and research firm, Straits Knowledge, with a partner. He is former President of the Information and Knowledge Society, and is Adjunct Professor at Hong Kong Polytechnic University. Patrick speaks and writes internationally on knowledgemanagement. Patrick has published several books on the subject, including Organising Knowledge: Taxonomies, Knowledge and Organizational Effectiveness and The Blind Tour Guide: Surviving and Prospering in the New Economy. 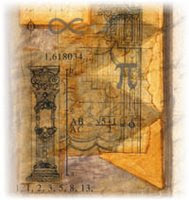 Please take a closer look at this article by John Gerritsen. It would be fair to say that Grainne Conole was an early adopter of new technologies. While completing her PhD in chemistry, Conole was using email at a time when her colleagues could not see the point - why not send a letter, they asked. She had the same experience with the internet. 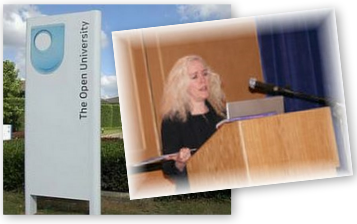 Although attitudes have moved on since then, the professor of e-learning at the UK's Open University is still working at the cutting edge of technology. She is experimenting with Google Wave - the application billed as the replacement for email - and has become a fan of mobile technologies for learning while many of us are still figuring out how to use all the functions on our cell phones. Bolstered by a polar clock in the upper-right hand corner and a collection of intriguing images, the Science Oxford Online website is sure to draw interested parties in with a few clicks of the mouse. The site was originally launched in 2009, and the aim of the site is to give members of the general public "a feel for new research and get some ideas about how science theories of today might create tomorrow's commercial products." Science, Technology, Engineering, and Mathematics (STEM) are the focus of this fantastic website by NASA. It's a teaching tool that utilizes video segments to provide flexibility and inspiration for those teaching STEM-related topics to grades K-5, 6-8 and 9-12. Additionally, many of the advanced grade segments are appropriate for introductory college level courses in these areas. Launchpad is the name given to the lessons for 9-12th graders, and visitors can access it by clicking on the link entitled "Launchpad Grades 9-12" in the menu on the left hand side of the homepage. Penn State University provides a great web resource for all engineering and science students with the models, exercises, and advice that it gives for over a half dozen type of documents they will likely encounter in their schooling and eventual professions. • Who do you consider edtech's most influential person? 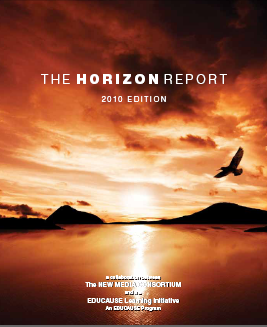 The 2010 Horizon Report is the seventh in the series and is produced as part of an ongoing collaboration between the New Media Consortium (NMC) and the EDUCAUSE Learning Initiative (ELI). The 2010 Horizon Report predicts how emerging technologies will affect teaching and learning worldwide.